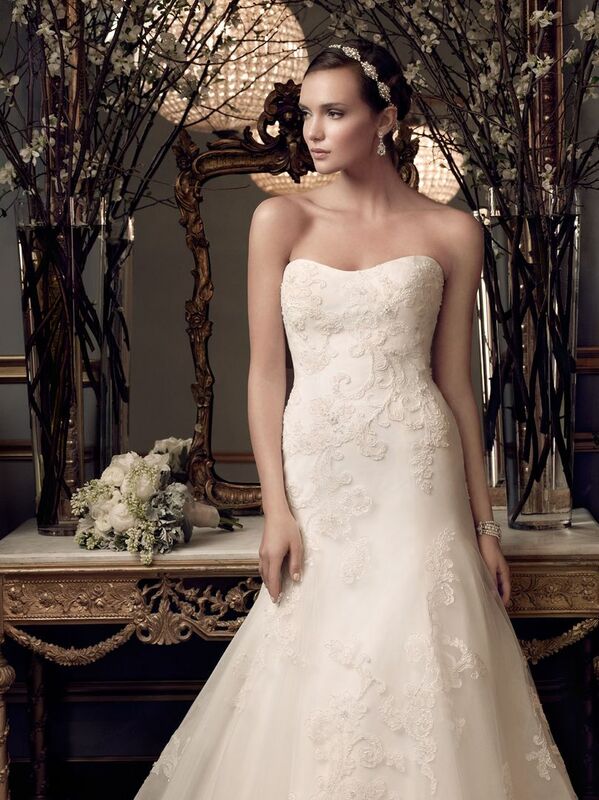 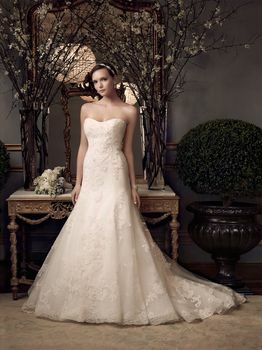 This modified sweetheart neckline and sweetheart back neckline, soft trumpet silhouette gown features beaded lace appliqués backed with Gossamer Lace. Two layers of Structured Tulle are sewn with a hem of horse hair that help to support the shape of the fluted trumpet skirt. 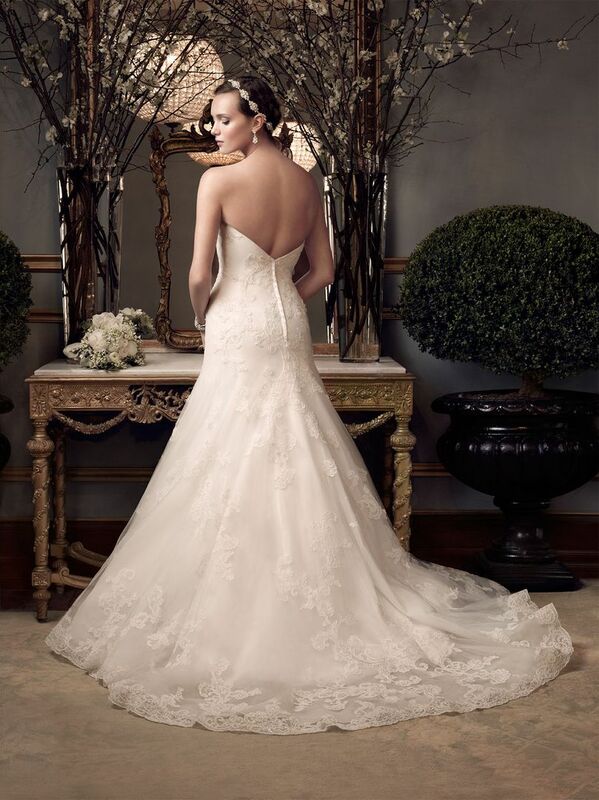 A beaded scallop trim finishes the entire hemline, and crystal buttons are along the zipper.